I am ready to cut. 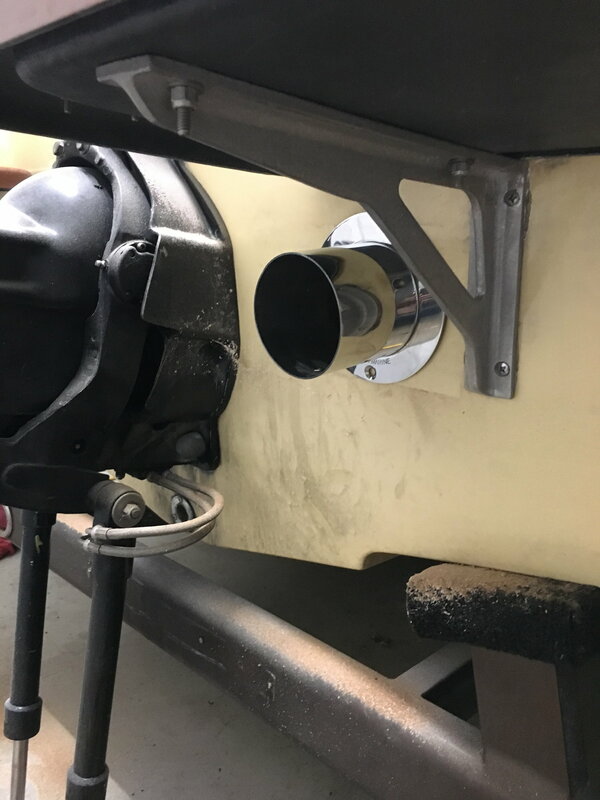 I have mocked up the exhaust and market the cuts on the inside of the transom, found the center and drilled pilot holes all the way through to the outside. I measured my pilot holes and I am within a 1/16 of being perfectly spaced on either side. 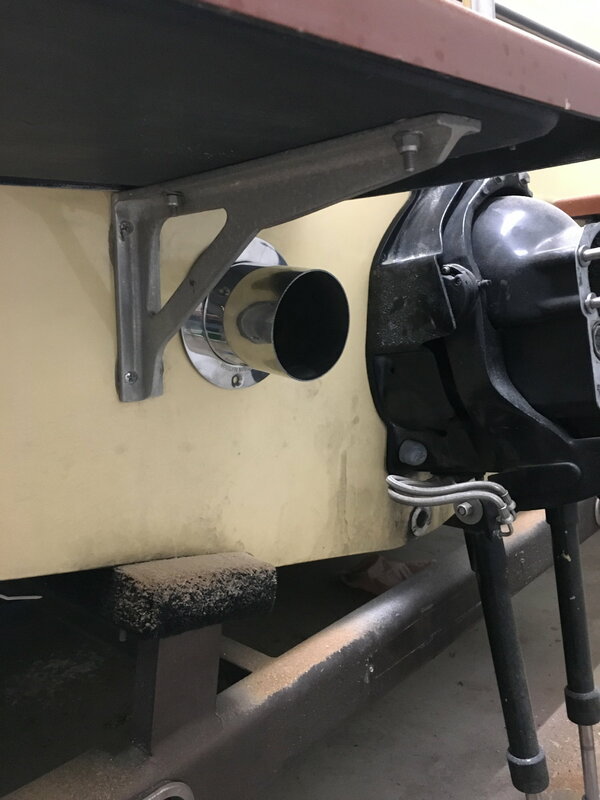 My tail pipes are 4 inch OD where they pass through the transom. I plan on drilling the holes and then putting a couple layers of epoxy on the exposed wood before installing tail pipes. What size hole saw should I use? I would figure to go about 1/4 inch over size. I read somewhere to run the drill in reverse until I get through the gel and it will make a nicer cut....is that legit? Is there a benefit to putting tape around the area where I will be cutting? My boat is old and nice......I am going to have a bead of sweat on my brow when cutting these holes. Make sure you tape up the outside of the transom before you start drilling. Oh..and yes the reverse trick works...and i also tape both sides of transom and do the reverse trick on inner and outer surface....keeps from getting nasty tear-outs on the inside when it breaks through. Have a buddy with a vacuum to get all the fiberglass dust so your less likely to get itchy. And make sure you dont go crazy with the drill speeds as when (not if) the drill grabs and twists around you can hurt yourself pretty bad...I've heard stories of people breaking wrists...and i can say I've almost come close once! excellent info, just ordered one from home depot online. thanks! One way i keep from tweeking my wrist is to hold the drill with one hand but press the button with my other. That way when it grabs normally your natural reaction is to grab it,,,,,,,,,, if the hand holding the drill is the one holding the trigger that hurts! When it is the other hand as soon as it grabs your finger comes off the button. 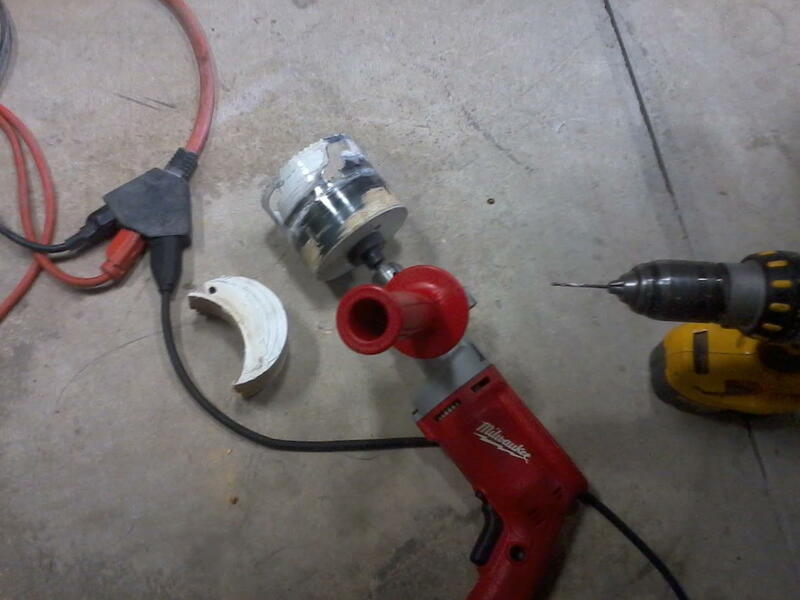 Use a hammer drill. I broke my hand a while back when the bit caught, drill went in a circle and BAM. It hurt worse in the doctors off when they reset the break before putting cast on. 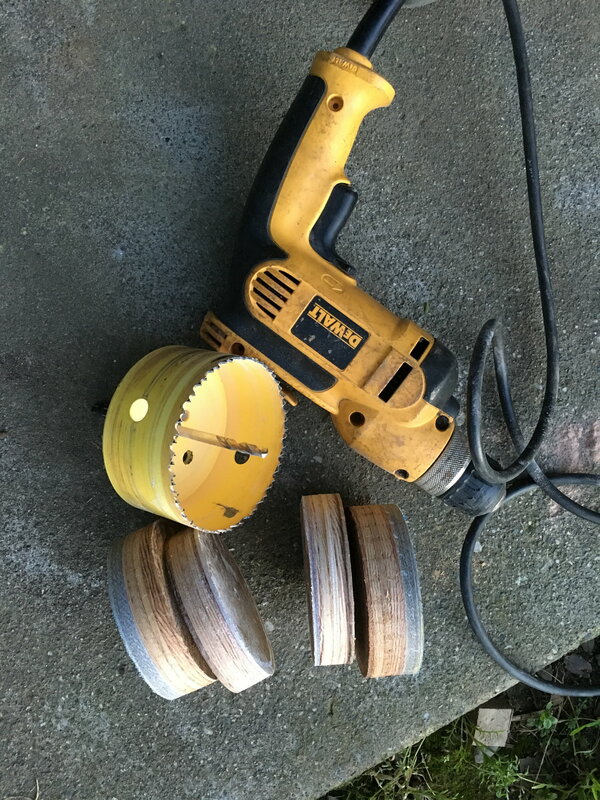 I used a smaller drill that could not hurt my hand or my wrist. I have had that happen so many times I have long lasting soreness in my right wrist. the little drill **** the bed just at the end of the job. i was very happy to see my 40 year old transom is dry as a bone.